Admiral Lord West was First Sea Lord, the highest position in the Royal Navy from 2002-06. In 2007 he was asked by Prime Minister Gordon Brown to join the UK Government as Minister for Security responsible for national security and counter-terrorism as well as cyber and Olympic security. Lord West has been closely involved in the UK National Security Strategy and has made numerous speeches on cyber security, information assurance and cyber warfare. World-wide authority on computer security and privacy issues. Mikko Hypponen has been working with computer security for over 20 years and has fought the biggest malware outbreaks in the net. As a result, he has been involved in catching several online criminals. Mr. Hypponen has also extensively researched cyber warfare and online espionage. He has lectured at the universities of Stanford, Oxford and Cambridge. He was selected among the 50 most important people on the web by the PC World magazine and was included in the Foreign Policy Global 100 Thinkers list. In 2013 he was inducted to the Infosecurity Europe Hall of Fame. Mr. Hypponen sits on the advisory boards of the Lifeboat Foundation and T2. Tagged as a "Code Warrior” by Vanity Fair, Hypponen is a go-to expert on cybercrime for international news media. Graham Cluley has been a well-known figure in the computer security industry since the early 1990s when he worked as a programmer, writing the first ever version of Dr Solomon’s Anti-Virus Toolkit for Windows. Since then he has been employed in senior roles by companies such as Sophos and McAfee. 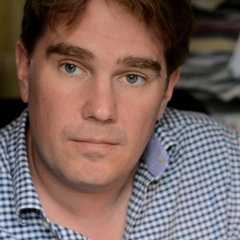 Graham Cluley has given talks about computer security for some of the world’s largest companies, worked with law enforcement agencies on investigations into hacking groups, and regularly appears on TV and radio explaining computer security threats. He was inducted into the InfoSecurity Europe Hall of Fame in 2011, and was given an honorary mention in the “10 Greatest Britons in IT History” for his contribution as a leading authority in internet security. Bennett is an Award-Winning Writer, Stand-Up Comedian and BAFTA Shortlisted Director. He is also one of the first major victims of Identity Theft in the UK. As well as performing as a Comedian he has also spoken at many Conferences around the world on the subject of Fraud, ID Theft and Data Protection. He was the Guest Speaker at The International Fraud Convention in Italy, The International Congress On Anti-Fraud & Anti-Corruption in Poland and Infosec, Europe. He was also the Opening Keynote Speaker at Auscert in Queensland, Australia. Bennett wrote, directed and presented the Channel 4 Documentary, How To Steal An Identity, in which he proved, through a series of stunts, how easy the crime of ID Theft is to carry out. He also managed to steal the identity of the UK Home Secretary! Daniel Wiley, Head of Incident Response manages Check Point’s advanced security operations including Check Point ThreatCloud Incident Response Service. His core responsibility is to bridge the gap between product and operational security and to provide actionable intelligence to Check Point customers. Daniel is an experienced cyber security leader with over 22 years of experience in the Cyber Security industry, including government, civilian and service provider environments. Lisa began her career working in anti-piracy intelligence off the coast of Somalia before moving into Counter-terrorism intelligence for a UK Government agency. Lisa researched the process of online radicalisation by terrorist groups and the risky social engineering process undertaken by terrorist recruiters. Lisa then moved into one of the UK Police Cyber-Crime Units where she got to know the attackers’ mind sets and methodologies well. Victim companies ranged from small to multi-national organisations and almost all the cases involved social engineering. Lisa left in 2017 to start her own company, Red Goat Cyber Security LLP, with the goal of reflecting the techniques and methodologies actually being employed by hackers. They provide GCHQ certified social engineering training for staff, security testing and wargaming cyber-attack exercises to help organisations prepare for an attack. Ian has over 12 years of in-depth security industry experience. He heads up Check Point’s team of skilled Security Engineers, who consult and support senior IT staff and their teams within end-user organisations, helping to create security strategies that solve business-impacting problems. Prior to joining Check Point in 2007, Ian worked in the IT security channel, designing and implementing customers’ security solutions. Jim Shields started his career as a child, combining his magic lanterns with sounds he’d captured in jars, during the blackouts of the miner’s strikes of the 1980’s. Jim makes fun out of Information Security. After 25 years running a successful independent film production company, he’s learned a thing or two about what makes people tick. He has created security awareness campaigns for Barclays, Intel, Sony, Warner bros, Symantec, Verizon and Estee Lauder – among others. Five years ago he created “Restricted Intelligence” – the world’s first sitcom about information security, now used worldwide by some of the biggest brands on the planet. His campaigns have won awards in both the security industry and the corporate communications world. He lives in leafy Leicestershire with his long suffering wife and two hilarious children. Eoin served as both vice chair and global international board member of OWASP, The Open Web Application Security Project, and during his time in OWASP he has lead the OWASP Testing and Security Code Review Guides, but to name a few key projects. Eoin is a well-known technical leader in industry in the area of software security and penetration testing, and has led global security engagements for some of the world's largest financial services and consumer products companies. He is based in Ireland and runs a software security practice, bccriskadvisory.com and award winning global SaaS edgescan.com. Nicola is an information security professional with over 10 years’ experience. She is focused on delivering practical solutions to overcome the wide-ranging security and risk challenges that impact businesses. Having previously worked in the financial, professional services, and insurance industries, she is now working in the legal industry as McCann FitzGerald’s first dedicated Information Security Officer. Using her wealth of security and risk experience, Nicola and her team are responsible for designing, delivering and implementing the information security and risk programme and projects. Nicola currently chairs the Irish Information Security Forum (IISF) and is recognised as a keen contributor to the cyber security community. Chris has worked in the software industry for over 30 years, and has been with Citrix since 1998. Previously he was a consultant with Digitivity/APM, specialising in security in distributed systems. He is a member of the Institute of Information Security Professionals. In her current role Gina has established and manages the threat intelligence and security incident response functions. The Threat Intelligence Team provides: actionable intelligence to highlight cyber risk to the business; performs incident response and forensic investigations; and engages in intelligence sharing within national and international partners. In her previous role at the National Cyber Security Centre, Ms. Dollard was a member of the CSIRT-IE team, participating in national and international cyber exercises, contributing to national policy, as well as acting as Cyber Attaché for discussion on EU cyber policy. Douglas Brown is the Global Technology Evangelist at IGEL Technology and the Founder of DABCC. Doug has more than 20 years of experience in virtualization, cloud, and end-user computing technologies and markets. At DABCC, Mr. Brown worked with hundreds of companies assisting in their marketing and as a technical advisor. Douglas is a sought-after speaker and has spoken at many leading industry events, such as Citrix Synergy and VMworld. He has been writing about end-user computing technologies for almost two decades. Matt is the Security Assurance Manager at NHS Digital, the arms-length body of the UK Department of Health. It is the national provider of information, data and IT systems for commissioners, analysts and clinicians in health and social care. NHS Digital ensures that NHS organisations meet information and security standards.